With computer simulation becoming a more powerful and reliable tool, vehicle dynamics simulations has now become an accepted methodology to aid in the improving of a vehicle’s design. To compete at the top level of motorsports, production car, military or the commercial transportation industry, an understanding of how the vehicle performs under multiple conditions is a requirement for companies to remain competitive. Using our own ARC developed software (eLap, RHA, Virtual 7-Post), coupled with our broad-based experience, ARC can provide custom simulation to further improve results. 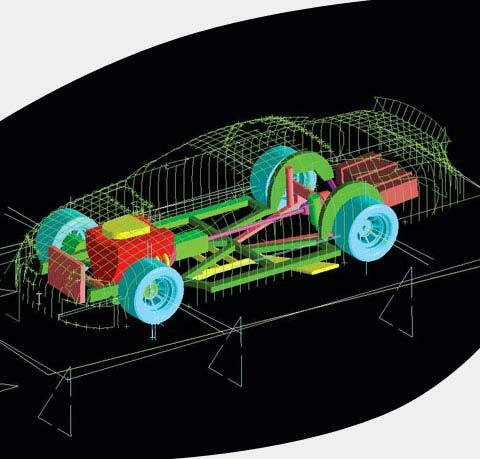 By using vehicle dynamics simulation, the customer gains another tool to better understand the performance of their vehicle. To learn more about ARC’s vehicle dynamics simulation, contact ARC by e-mail or phone at 317-291-8600.